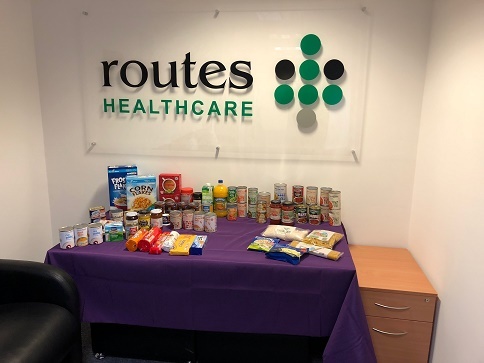 Thanks to a brilliant idea from Kelly our Senior Coordinator, the Newcastle branch will be collecting donations for local food banks in the run up to Christmas. The branch has asked our care staff to donate what they can, when they can as every little helps. The branch has also received donations from other businesses in their office complex. This picture shows day one of the collection.